Effective tips for promoting your courses. Our Training Industry Benchmark Report 2017 revealed that most training companies believe their most effective marketing tools are referrals and reputation. In an increasingly competitive industry landscape, now is the time to harness the power of digital marketing to sell more courses. You'll also get invaluable tips, tricks and informative links to help build awareness of your training and help sell more courses. 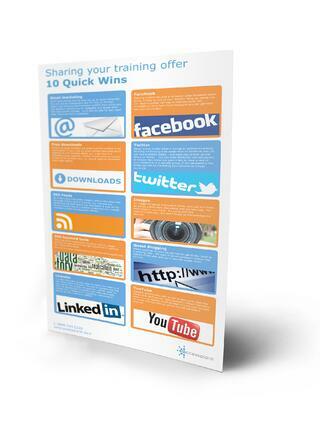 Discover new ways to promote your courses with this free visual guide.